1996. Acrylic on canvas panel. 24"x30". 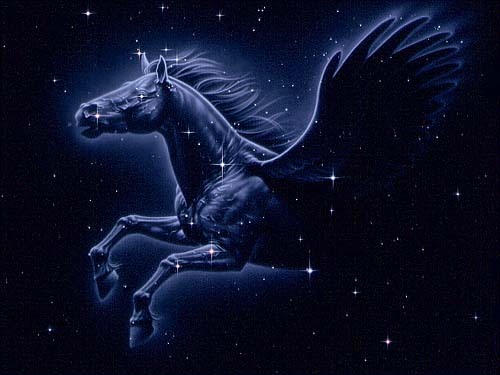 The mythical figure of Pegasus the Flying Horse soars through the autumn starfield that bears his name.